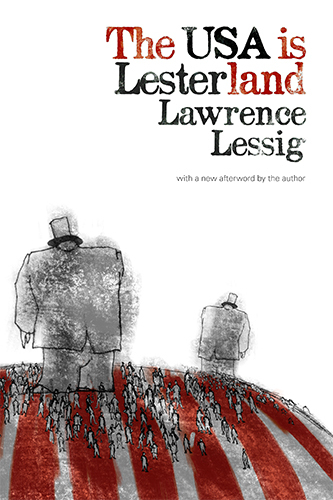 Lessig's books include Republic, Lost: How Money Corrupts Our Congress -- and a Plan to Stop It, One Way Forward: The Outsider's Guide to Fixing the Republic, and the recent Le$terland: The Corruption of Congress and How to End It. He serves on the Board of Creative Commons, MapLight, Brave New Film Foundation, The American Academy, Berlin, AXA Research Fund and iCommons.org, and on the advisory board of the Sunlight Foundation. Lessig holds a B.A. in economics and a B.S. in management from the University of Pennsylvania, an M.A. in philosophy from Cambridge, and a J.D. from Yale. Prior to rejoining the Harvard faculty, Lessig was a professor at Stanford Law School, where he founded the school's Center for Internet and Society, and at the University of Chicago. He clerked for Judge Richard Posner on the 7th Circuit Court of Appeals and Justice Antonin Scalia on the United States Supreme Court. The Democratic presidential candidate explains why his campaign for a “referendum presidency” hasn’t gotten the traction he had hoped for—and how he plans to change that. What happens when Congress itself is the problem in politics? The framers of the Constitution thought of a solution for that very problem. A walk across New Hampshire showed that citizens don't just hate the current system—they're willing to act. The trick is creating a true grassroots movement. A year after his death, a group of his friends and admirers want to take up his cause of fixing a corrupt campaign-finance system. If he had met a conservative Court on its own ground, the solicitor general could have notched a victory for liberalism—and helped safeguard campaign-finance protections. It won't bring him back. But the loss of the Internet activist has prompted a bill in Congress that would protect others from the same kind of prosecutorial abuse. In 2008, the candidate promised to change the "system in Washington." It's time for him to deliver on that promise. Can the longest-sitting member of Congress force the Supreme Court to reconsider its Citizens United decision? Big donors are a big threat to American democracy, proving the need for campaign finance reform. If and when it becomes clear he can't win, the likely Americans Elect candidate says he'll ask any backers to vote for one of the major party candidates instead. The corrupting influence of money in politics is the most serious issue the country currently faces. Should we continue to allow a handful of people to control the fate of our elections? A response to Randy Barnett's "Larry Lessig: If the Republican Justices Do Not Agree With Me They Will Be Acting Politically"